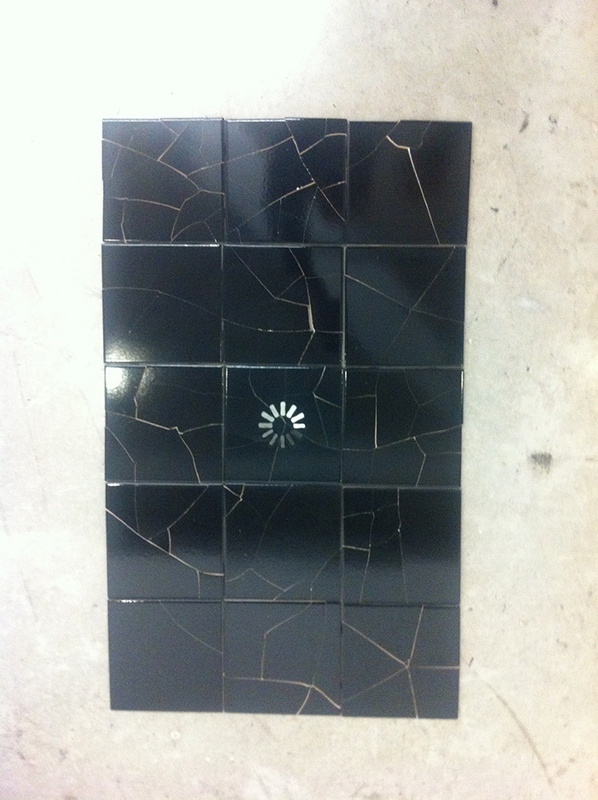 Powering Off, Full Revolution, is a project by Ken Solomon in collaboration with Jose Noe Suro, of Ceramica Suro. 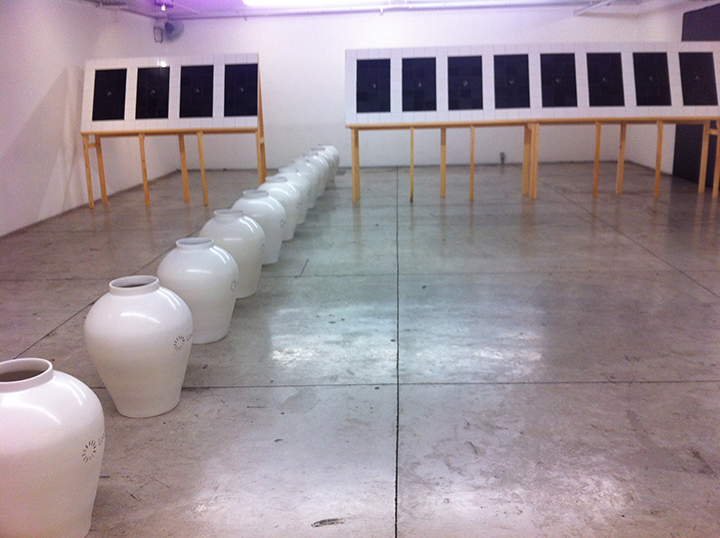 Solomon's new works promote pauses in cycles within cycles. 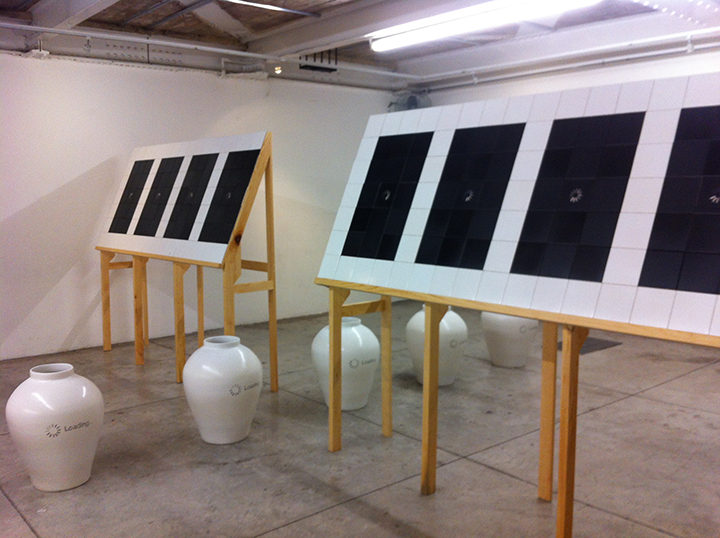 A line of twelve white matte vases bearing the loading symbol interrupts a billboard-like formation of continuous black tiles. Twelve panels of powering off icons, spin slowly and incrementally by 30 degrees until a full revolution is completed. 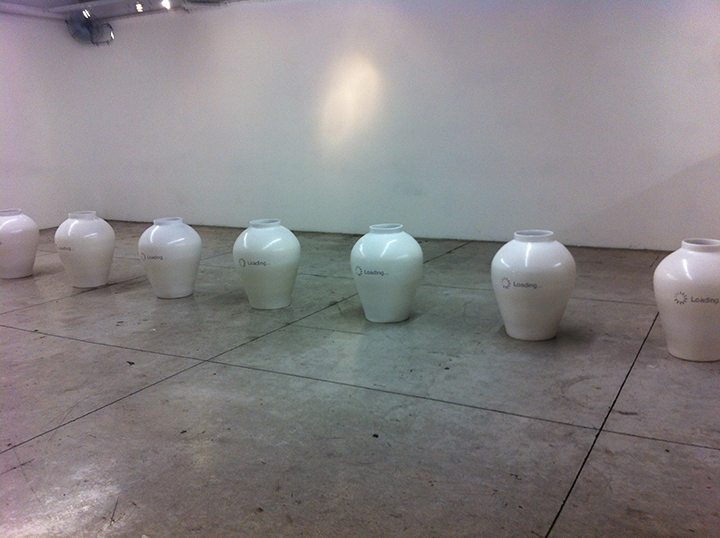 Since 1993, Ceramica Suro has developed an intense work promoting and producing contemporary art projects, working with acclaimed local and international artists, such as Miguel Calderón, Jorge Pardo, Liam Gillick, Sarah Morris, Jose Davila, Phillipe Parreno, John Baldessari, James Turrell or Liz Craft. These projects have been exhibited in museums and galleries around the world. 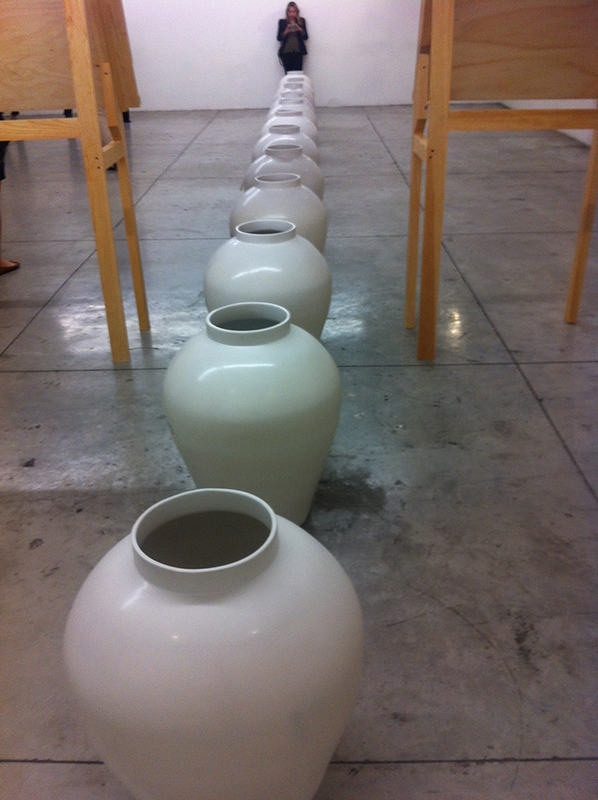 Ceramica Suro also collaborates with various workshops inintegrating a contemporary art collection with materials of the region, a part of the Ceramica Contemporaneo Suro culture.